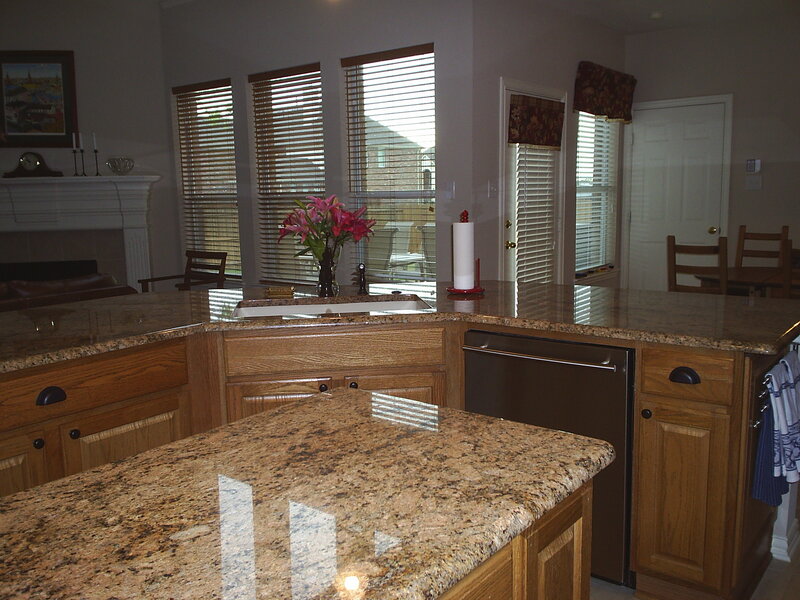 Functuality and efficiency were very important to the family at this home in Collin County. 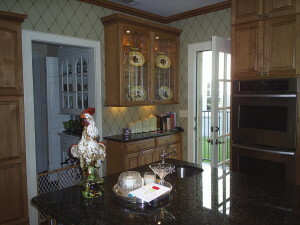 A stainless steel backsplash at the cooking area not only created an interesting detail, but provided easy cleaning and care. 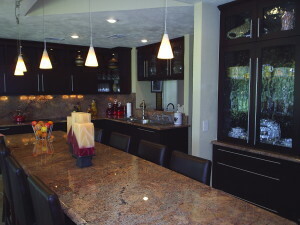 The dark contrasts in the granite countertop were accentuated by pairing it with oil-rubbed bronze tones of the fixtures of the sink and cabinets.